With flavors like mint, mango, fruit medley and crème brulee, it’s no wonder some teens are attracted to vaping, or e-cigarettes. What was supposed to be a less-harmful alternative to smoking is now a growing concern on school campuses, say health and school officials, and middle schools across the city are no exception. This spring, Memorial Middle School administrators sent an email to parents warning about an increased use of e-cigarettes. E-cigarettes come in an array of battery-operated devices with containers filled with liquid that is usually made of nicotine, flavorings and other chemicals. A heating device called an atomizer turns the liquid into vapor that you inhale when you take a drag. We talked to some teens from Memorial High School and Memorial Middle School. 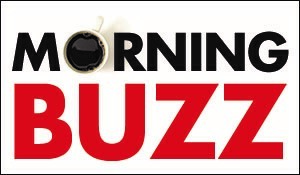 (The Buzz is not using real names to protect the minors’ privacy.) They told us about the newest vaping trend, JUULs, which are less conspicuous and easy to hide. 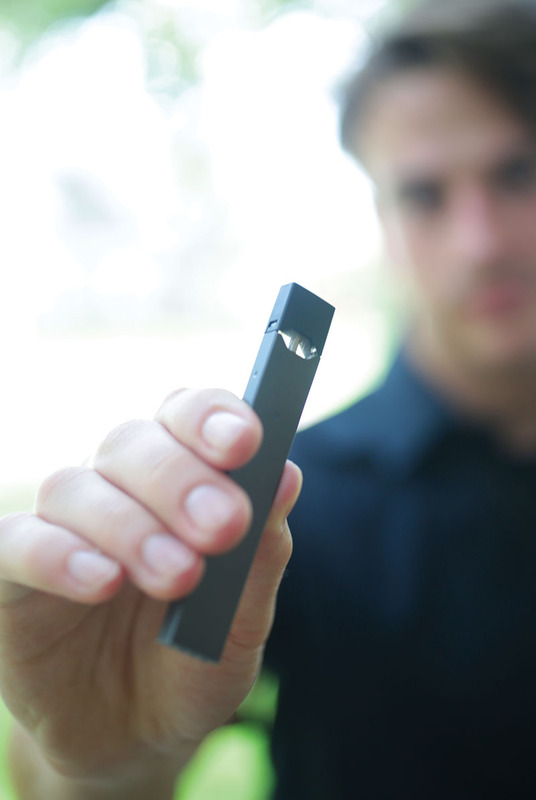 Makers of the JUUL say one pod contains 5 percent nicotine and is approximately equivalent to 1 pack of cigarettes, or 200 puffs. According to the websites ecigone.com and ecigarettereviewed.com, there’s a reason for JUUL’s popularity; it packs a powerful punch. Critics say the pod contains more than 50 mg. of nicotine per ml of e-liquid, more than other types of e-cigarettes, most of which top out at 16 mg. An old-school tobacco cigarette contains about 10-20 mg. of nicotine. The students we talked to said they weren’t currently using JUULs but said they had tried them. The Food and Drug Administration put in place new regulations last summer banning the sale of e-cigarettes to minors (anyone under the age of 18) and requiring e-cigarette companies to submit products for premarket review. Before these regulations, there was no federal oversight of the e-cigarette industry. But the fact remains that e-cigarettes are not hard for teens to access. Parents are concerned about the designs and flavors that lure young users, and the misconception that vaping is safe because of the absence of tobacco. There’s nothing innocuous about e-cigarettes, says Bellaire pediatrician Dr. Janet Pate. She says, for a non-smoker, they could lead to getting hooked on a habit that’s known to cause lung disease and cancer. She says other health maladies are popping up in vaping teens, like smoker’s cough, mouth sores and wounds that won’t heal. Dr. 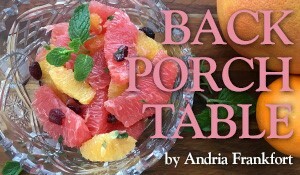 Pate has written an article posted on her website about another possible problem called popcorn lung. And then there’s the danger of nicotine poisoning. A 14-year-old student at Memorial Middle school who will be an eighth grader this year said she thinks she got nicotine poisoning from accidentally swallowing just a little bit of juice. While the JUUL cartridge can be mistaken for a USB, there are other signs to look for. The pods come in foil-lined packs that can look like a pack of gum. Parents say they have found these packs in trashcans in their teenager’s room. Another warning sign is a fruity aroma, unfamiliar handheld gadgets, increased thirstiness, batteries and chargers. A 16-year-old boy at MHS says parents should look out for unusual behavior. The Office of the U.S. Surgeon General says the use of e-cigarettes has grown dramatically in the last five years. Today, more high school students use e-cigarettes than regular cigarettes, and the use of e-cigarettes is higher among high school students than adults. The Surgeon General and the U.S. Centers for Disease Control and Prevention’s Office on Smoking and Health created a website to explain the risks. Even breathing e-cigarette aerosol that someone else has exhaled poses potential health risks, it says. Besides increasing the possibility of addiction and long-term harm to brain development and respiratory health, e-cigarette use is associated with the use of other tobacco products that can do more damage to the body.